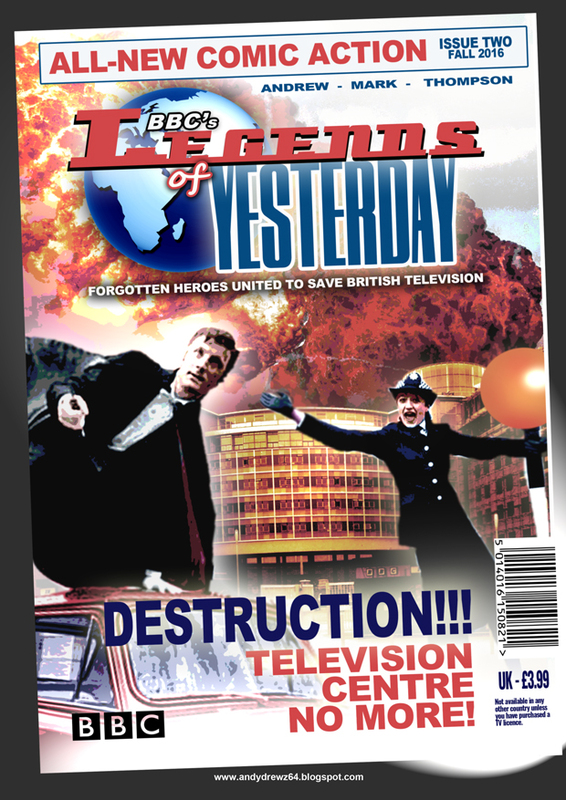 Andydrewz's Pages: BBC's Legends of Yesterday - new comic book! 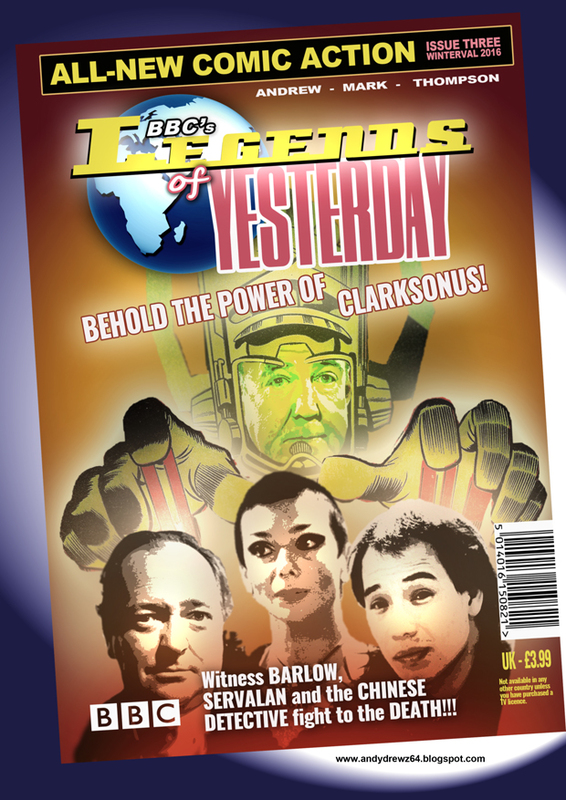 BBC's Legends of Yesterday - new comic book! 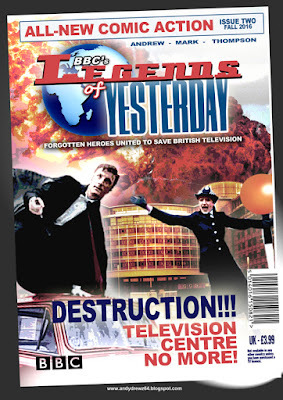 DC recently launched a new TV series in which a bunch of forgotten super heroes are recruited to save the future from an evil immortal tyrant. 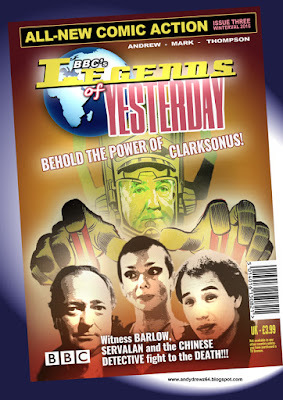 It stars Arthur Darvil (from TV's Dr Who) as someone who isn't the Doctor. Honest. It seems the BBC have fired a salvo back at them. Rather than suing, which is the American way, Auntie Beeb has done the British thing and given them a taste of their own medicine. 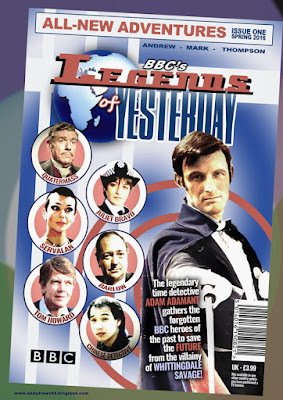 Meet Adam Adamant, Servalan, Barlow from Z Cars, Tom Howard, Juliet Bravo, Professor Quatermass and the Chinese Detective. Seven forgotten heroes destined to become legends.